Most colleges talk about their mission statements, but at Pitzer, the school’s core value of environmental sustainability is visible the moment you set foot on campus. You are surrounded by low-maintenance, drought-tolerant native plants such as cacti, and nearly half of the buildings are LEED-certified. Forget Earth Day – Pitzer celebrates Earth Week with a series of talks and events. Another Pitzer core value of student engagement is exemplified by student participation in committees at all levels, even those deciding faculty hiring and tenure. Students helped design the residence halls, and there is an entirely student-run eatery on campus. Pitzer is one of the Claremont Colleges, a cluster of adjacent small schools within easy walking distance. Harvey Mudd, Scripps, Claremont McKenna, and Pomona make up the rest of the “5Cs.” Students at one of the colleges can eat, take courses or join clubs at any of the others. Pitzer has the most flexible curriculum of the 5Cs and, being founded in the 1960s, is the most social justice-oriented. 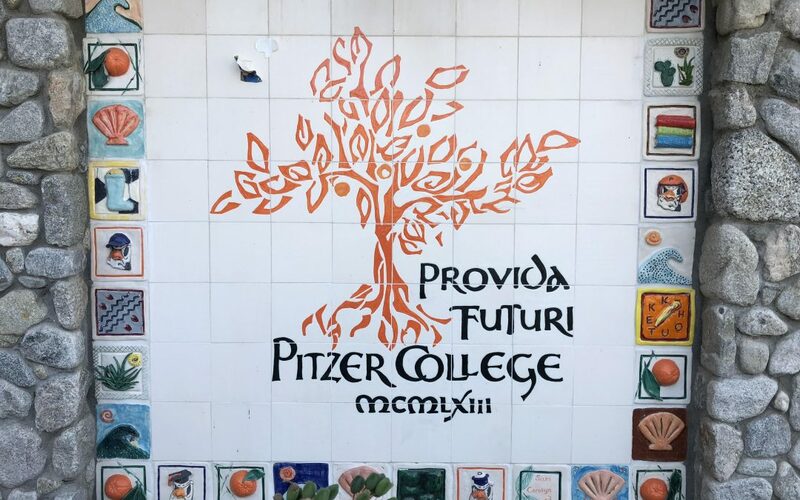 Admission is competitive at Pitzer – around 15% of applicants – with international students, students of color, and first-generation students well-represented. There is an optional interview, and the school is test-optional as well. Merit aid does not require a separate application. A maximum of 4 AP credits are accepted. Undergraduate enrollment is about 1,000; over 50% of students and faculty are female. Average class size is 15. Some of the more popular majors (of more than 40 available) are psychology, economics, and media studies. Over 2,000 classes are available to students at the 5Cs. Pitzer is top-ranked for undergraduate student Fulbright awards. The commuter rail is walking distance from campus; the train ride to downtown Los Angeles costs $7 and takes under an hour. Freshman dorms surround a recreational pool, and students often lounge in hammocks on their dorm balconies overlooking the pool. Housing is guaranteed all 4 years.